Cervical Laminoplasty – What It Is? 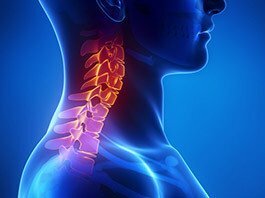 Cervical Laminoplasty is a relatively new procedure that involves making the spine canal larger by attaching a hinge to the bones that make up the posterior (back) aspect of the cervical spine then opening the door. It is similar to having a formal laminectomy (removal of the bone) but it preserves the bone and there is no need for a spine fusion. It is recommended for younger patients who want to preserve motion but still need a spinal canal widening procedure. It is indicated for congenital cervical spinal stenosis or for patients with multiple levels of disc herniation. The hospital stay is usually one to two days. No cervical collar is needed after the procedure.